I'll be using the blog for all those things that facebook won't let us do and for giving a bit of a personal insight into who I am and why I started Monkey Hugs and Snugglebugs. I'll try and make it interesting, but given my background in law, I have a tendency to waffle a bit sometimes, so feel free to ignore those parts! So firstly, the basics - I'm 33, a mother of three beautiful children (2 girls and a boy - 12, 2 and 4 months) and married to my gorgeous husband, Warren. We live in Brisbane, Queensland, where I was born and have lived most of my life; however Warren is American and has only lived here in Australia since 2005 (the year we were married). I decided from a very young age what I wanted to be when I grew up. 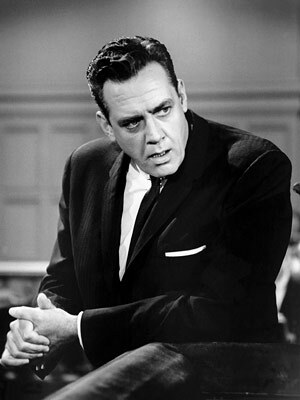 Unlike most 7 year olds, I liked nothing more than watching old black and white episodes of Perry Mason on TV with my mum and from that time on, I wanted to be a lawyer... and not just any lawyer, I wanted to be a criminal defence lawyer. Unfortunately, unlike Perry Mason, after studying for 6 years and practicing as a criminal defence lawyer for ten years, I have never once had one of those moments where I not only prove my client innocent, but also solve the crime and have the guilty party confess in the witness box. Reality just isn't like that. Sure, I had my share of innocent clients that were found to be so, but I had many more that came to me knowing they were guilty and just wanting me to get them the best possible sentence. I didn't mind that... it was my job. What did start to get to me was that it was the same clients I was seeing over and over again. I suppose I should be happy that they came back to me - obviously they felt I did a good job, but it becomes a little disheartening hearing the same promises over and over again (and having to pass those promises on to the Court like they actually might be true this time). Over the past few years I had decided that I wanted to get out of law, but given that up until that time it had been the only thing I ever wanted to do, I had no idea what I wanted to do instead. Then, when I found out that I was pregnant with my third child and with changes occurring in Legal Aid and in criminal practice in general, I decided that when I went on maternity leave, I wouldn't be going back. I still had no real idea about what I wanted to do, but I knew that I could get a job if I needed one and I'd at least have 6 months to figure it out. I'm now four months in to that six months and still don't really know what I want to do, but I do know that I love sewing. I think handmade is so much better than store-bought. I love fabric (I have an addiction... I'm not afraid to admit it). I love grabbing beautiful fabric and watching it transform into something that my kids can wear and I love the look on my daughter's face when I finish a doll or stuffed toy and she sees it for the first time. I love that I can make her day by saying "yes" when she asks if it's for her (I'm a sucker for her smiles) and I love the idea that there might be other little boys and girls out there that will get the same gorgeous looks on their faces when they are given one of my creations.